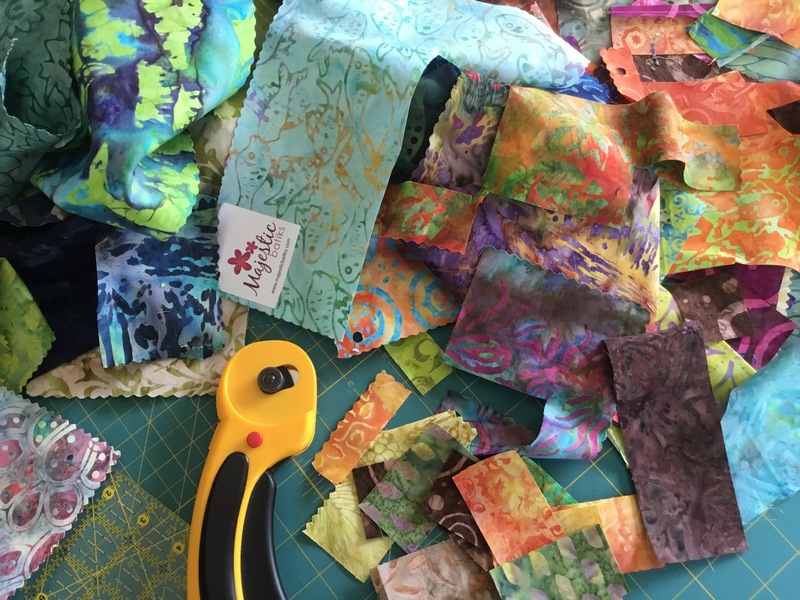 Anyone else doing (or following) the 100 Days 100 Blocks 2018 Sew-Along? I'm making my 6" blocks with a variety of Majestic Batiks and I'm quite pleased with the results so far. Progress on my City Sampler blocks. The process has been fun and there's wonderful daily camaraderie out on Instagram (follow #100days100blocks2018) from other quilters participating in the 100-day project. The book that the sew-along is following starts out with blocks that have crosses. Here are my first 9 blocks. First 9 blocks from the book, "Tula Pink's City Sampler: 100 Modern Quilt Blocks." It has been great getting more familiar with the beautiful colors and designs that Majestic offers in their batiks. 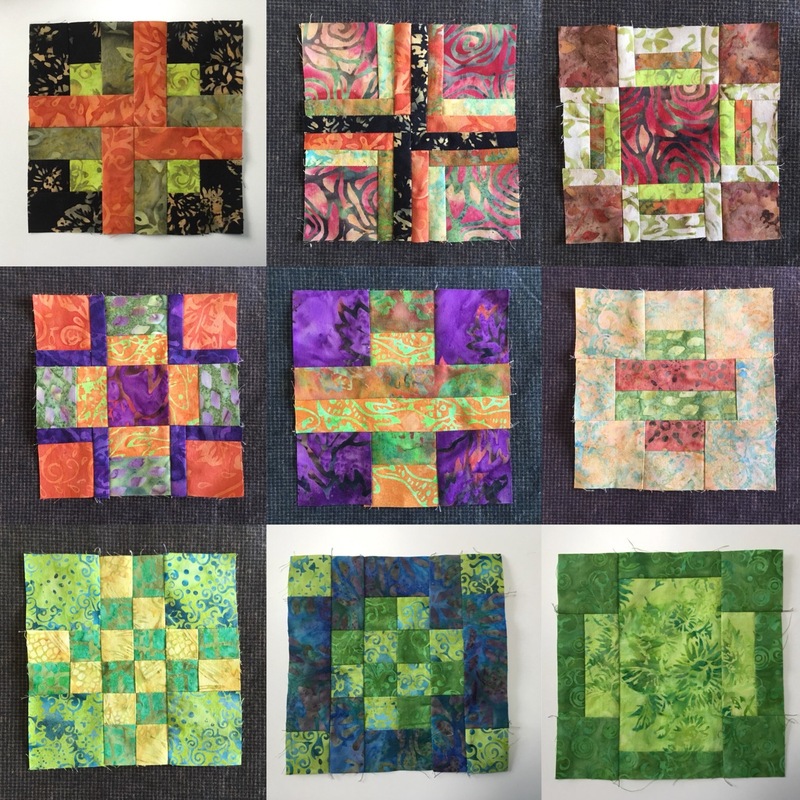 With each block, I challenge myself to audition different color and value options. It's been a good learning experience in working with the subtleties of color hues. Auditioning and cutting batiks for my City Sampler quilt. I'm seeing a colorwash quilt top in the future. 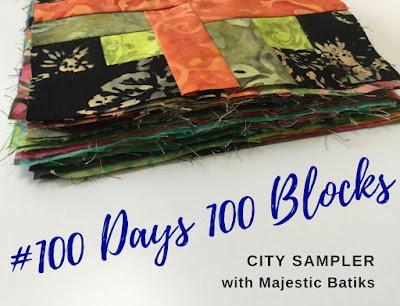 City Sampler 6" quilt blocks using Majestic batiks. I'm veronica.fiberantics on Instagram. 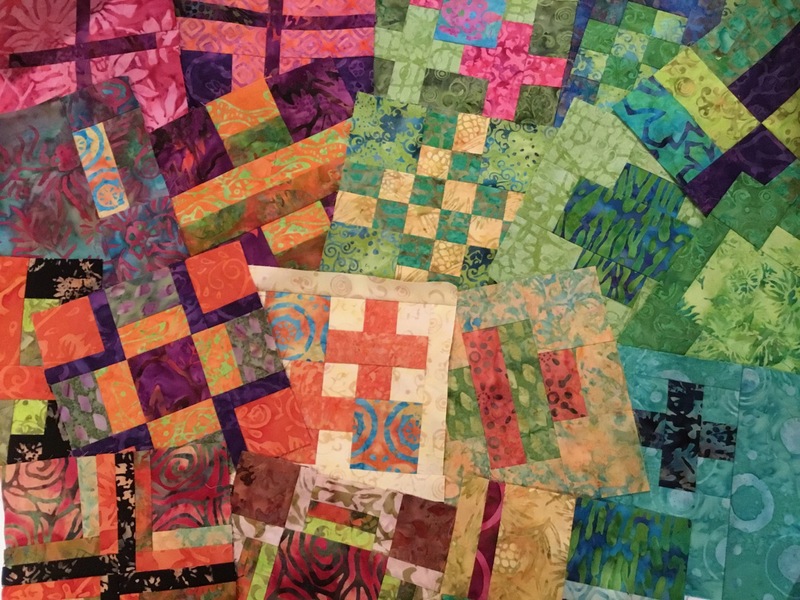 Be sure to follow along to see daily quilt block progress.